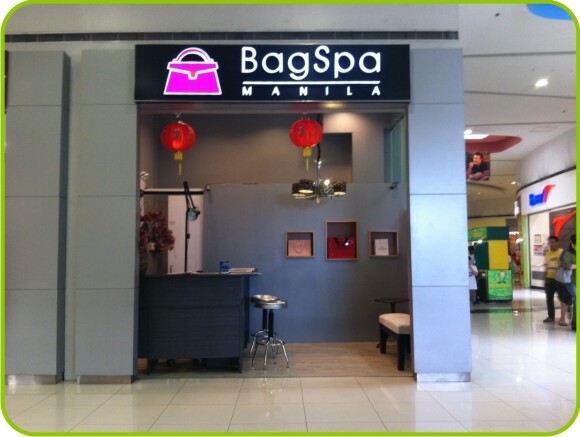 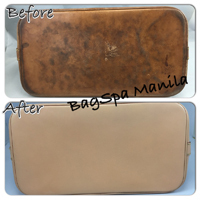 Welcome to BagSpa Manila. 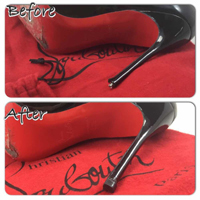 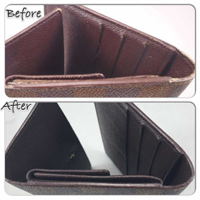 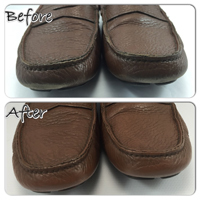 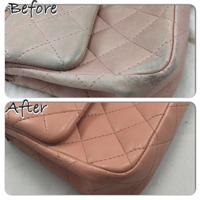 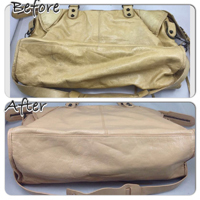 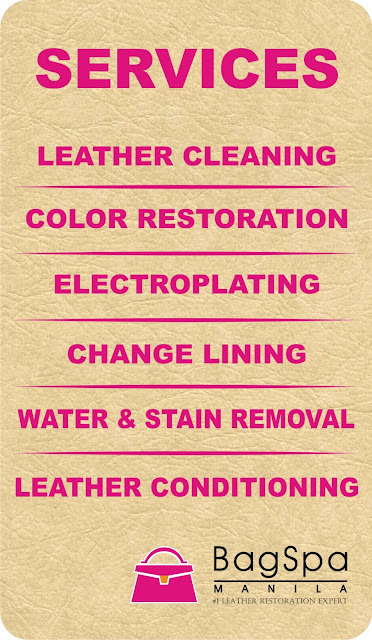 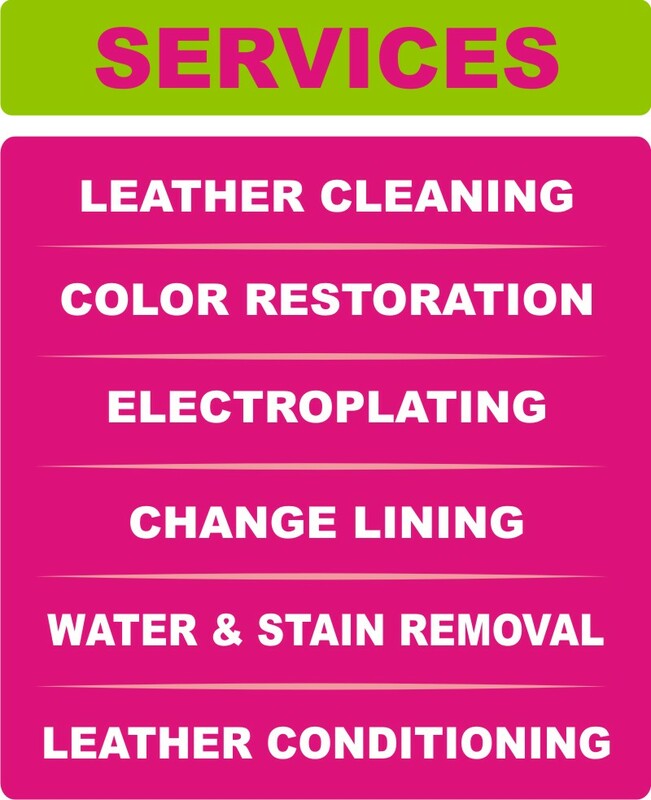 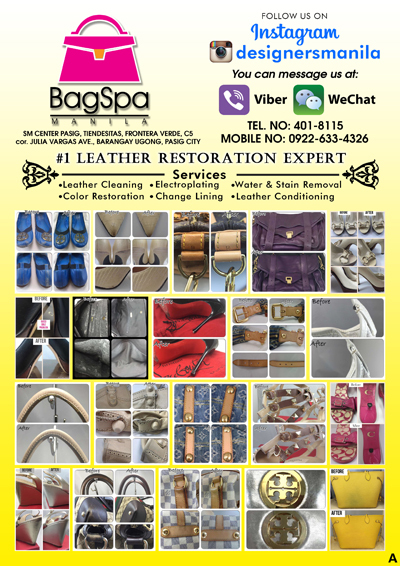 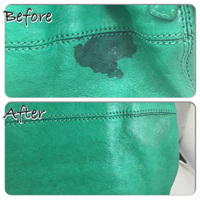 Your Number 1 Leather Restoration Expert. 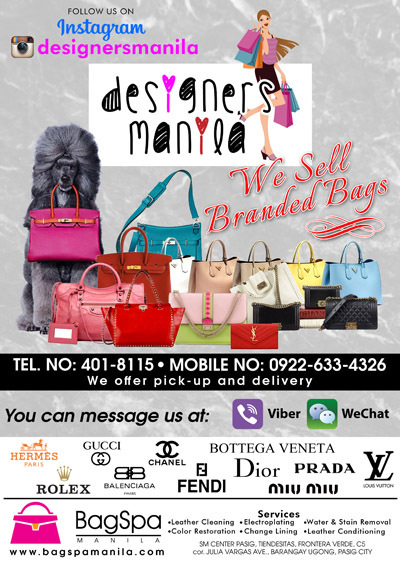 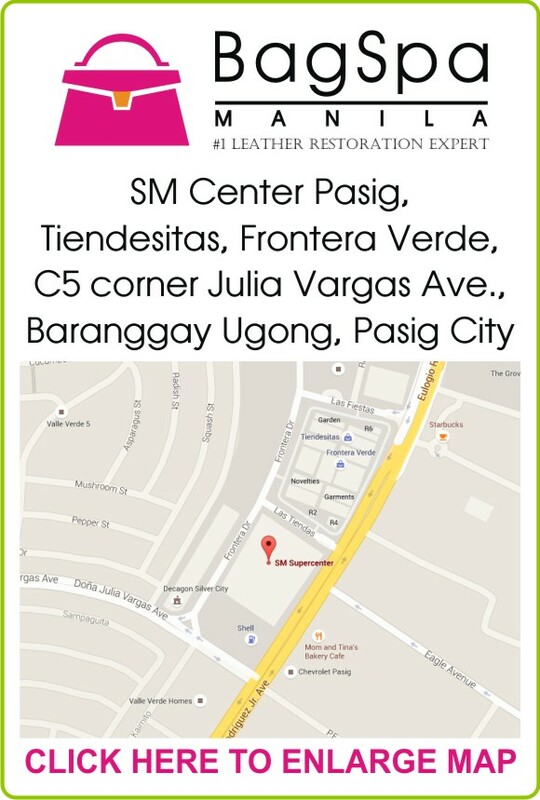 You can visit us at SM Center Pasig, Tiendesitas, Frontera Verde, C5 corner Julia Vargas Ave., Baranggay Ugong, Pasig City or follow us on instagram @designersmanila.